Semester: B.E. VII Semester Branch: Electrical & Electronics Engg. Unit 1- Protective relays : trip circuit & circuit Breaker, Current transformer & protection, instantaneous over current relay, I.D.M.T. 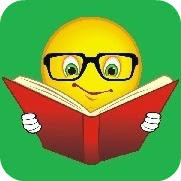 Relay, Differential relay, Directional relay, Generalized torque expression, impedance relay, reactance relay, mho relay. a) Generator protection – Differential protection of stator, inter turn fault protection, protection against unbalance loading, protection of rotor against ground fault, protection against field failure, protection against failure of prime mover, field suppression in alternators. b) Transformer protection – difficulties in differential protection, mode of C.T. connection for differential protection of three phase transformer, protection against magnetizing inrush current, core balance earth leakage protection. c)Bus bar protection- Differential protection, frame leakage protection. a)Feeder protection- protection of ring main feeder, protection of parallel feeders. b) Transmission line protection-Over current protection of lines, Three step distance protection, effect of power swings on distance relay, Directional comparison carrier current protection, phase comparison carrier current protection, carrier aided distance protection. Unit 4- Static relays - amplitude & phase comparators, duality between amplitude & phase comparators, circulating current amplitude comparators, coincidence type phase comparator, block spike phase comparator, integrating phase comparator, Hall effect sine phase comparator, Design of directional relay, reactance relay, mho relay, impedance relay, quadrilateral characteristics relay using cosine phase comparator and amplitude comparator. Unit-5 Circuit Breakers- Initiation of Arc, High resistance arc interruption, current zero arc interruption, Recovery voltage, Factor affecting recovery voltage, Restriking voltage, rate of rise of restriking voltage, Breaking of capacitive current, current chopping, Resistance switching, Circuit Breaker rating, Circuit Breaker testing, Minimum oil circuit breaker, Air Blast circuit Breaker, SF-6 Circuit Breaker. 1. 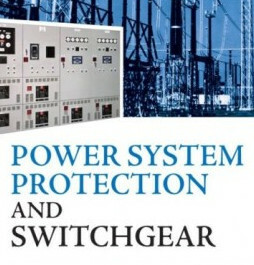 Power System Protection & Switch Gear By B. Ram (T.M.H. publication).